The American Academy of Pediatric Dentistry recommends that children visit the dentist after the eruption of their first tooth or by your child’s first birthday. This first appointment with us is equivalent to a “well-baby check-up” at the pediatrician. 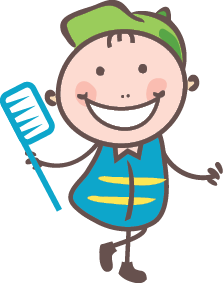 -This visit gives your child an opportunity to meet the dentist in a non-threatening and friendly way. Our team will spend time with you and your child to discuss oral health, to provide education in dental developmental issues, and to answer any questions you or your child may have. We will review your child’s health history, dental history and risk factors for cavities. During the exam, we will check your child’s existing teeth for decay, examine your child’s bite, and look for any potential problems with the gums, jaw, and oral tissues. We will also clean the teeth and apply fluoride. Be sure to remind your child that Dr. Spatz and her staff will be friendly and they will explain all procedures and answer any questions. When talking to your child about her or his visit to the dentist, please try not to use words that may seem scary, such as “needle,” shot,” “pull,” “drill” or “hurt.” We will walk your child through the visit in kid-friendly words and we have training and experience to handle the situation if he or she becomes anxious. And, you can remind your child that after the visit is over, she or he will get prizes! When describing an aspect of a dental visit, please don’t use words around your child that might incite fear. Words such as “needle”, “shot”, “pull”, “drill” or “hurt” should be replaced by words that we use to convey the same message, but are pleasant and non-frightening to the child. This visit gives your child an opportunity to meet the dentist in a non-threatening and friendly way. Our team will spend time educating parents about oral health care for their child, discussing dental developmental issues and answering any questions. 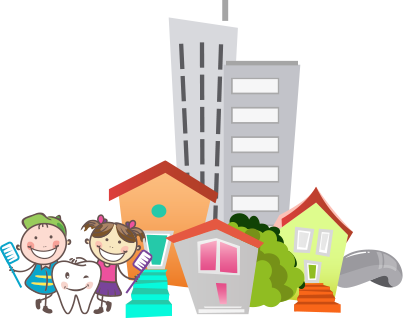 We will review your child’s health history, dental history and risk factors for cavities. During the exam, the dentist will check all of your child’s existing teeth for decay, examine your child’s bite, and look for any potential problems with the gums, jaw, and oral tissues. Dr. Spatz or hygienist will clean the teeth and apply fluoride. Then the most important part of the appointment: the reward of prizes. We like to see children every six months to build the child’s comfort and confidence level, to monitor the development of the teeth, and promptly diagnose any developing problems. Our goal is to prevent problems whenever possible. We are an insurance friendly office. We are in-network with most PPO insurances, including BCBS, Guardian, United Health Care, Aetna, United Concordia, Cigna. We also participate in Delta Dental Premier. We call your insurance company and learn about your benefits. Often times, insurances we are not in-network with will still cover most of the fees. Feel free to give us a call and we can help you research your benefits. We file your claims electronically to efficiently manage your benefits. Estimated portions will be reviewed prior to your treatment appointment. Pre-determinations can also be sent which allows your insurance to provide an estimated patient portion. This may delay your appointment a few weeks. Please plan to pay your estimated portion of the treatment and insurance deductibles on the day of your service. We offer special plans for those individuals that are not insured. We accept cash, check and most major credit cards. For extended six month financing, we offer Care Credit.